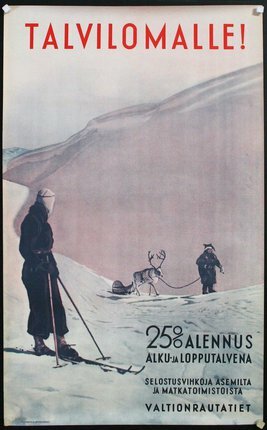 Rare and Handsome 1930s Ski Poster from Finland. Poster states that a "25% Discount at start and end of Winter. Information booklets available at stations or travel agencies".